In the last few months, I've bought LOADS of different polishes and spent a small fortune. Tried them all. 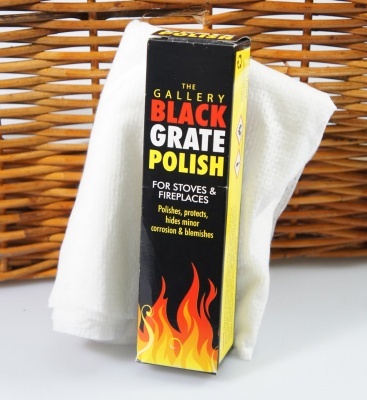 The vast majority didn't come close to this stove and grate polish. Most gave pretty rubbish coverage and required a huge amount of work. This polish goes on very easily with a lint free cloth and provides amazingly good coverage (with minimal elbow grease) and dries on the surface very quickly. You'll soon have your stove or grate back to blacker than black finish.... However, unless you are a chimney sweep and have a good excuse to be grubby, I would suggest that you wear a pair of disposable gloves unless you wish your hands to resemble coal shovels for the next week !